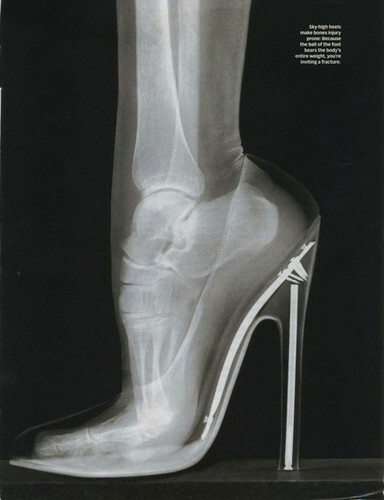 X-Ray of Bones while wearing heels. . Wallpaper and background images in the Damenschuhe club tagged: women's fashion high heels trends style no pain no gain heels. But i don't understand why these ladies wear such high heels sandals, when they have to suffer form heel pain?